Our very first gig in Georgia will be Classic City Swing, a weekend of workshops and dances in Athens, Georgia! We’ll be playing the Friday night and Saturday night main dances at the New Dance Theater on the University of Georgia’s campus. Don’t worry, it’s not a home football game weekend, so you can avoid the traffic and the parking issues! With a large lineup of instructors, this promises to be a big weekend of dancing – for more information, visit the Classic City Swing website. On November 13, 2015, the band will take its longest road trip to date, to West Lafayette, Indiana for Purdue University’s annual swing dance workshop weekend, Whistle Stop 2015! We’ll be performing on Friday and Saturday night at the main dances for the event on Purdue University’s campus. We’ll also have some free time on Saturday – what does one do in West Lafayette? If you have any suggestions, drop us a line! For more information about the event (hosted and organized by Purdue Night Train, the university’s swing dance club), visit the event Facebook page, which is serving as the event website – they have a great lineup of instructors and The Fried Bananas will be dishing out the tunes for the late night dances. We are excited to be a part of Richmond, Virginia’s inaugural I Heart Balboa, a mini-workshop weekend occurring September 4-5, 2015. 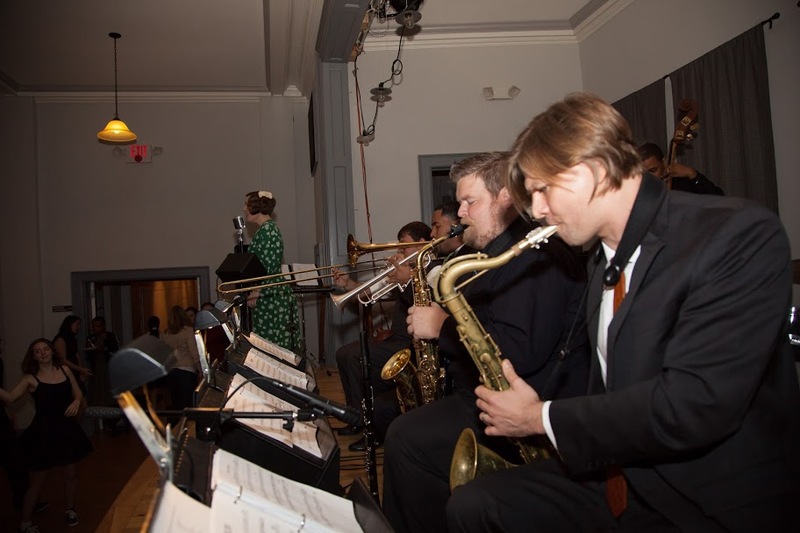 The weekend features Balboa instructors Kate Hedin, David Rehm, Chelsea Lee, and David Lee, and the Mint Julep Jazz Band is performing at the Saturday night dance at The Dance Space in Richmond. We hear they are close to selling out, so get your weekend pass or your dance pass soon! The Mint Julep Jazz Band will kick off the weekend festivities at The Process, a Lindy Hop workshop weekend in Richmond, Virginia on Friday, July 18, 2014 at 9:00 p.m. The Process is a new event, in its first year, and seeks to answer the question, “What is the process guiding Lindy Hoppers to rapid improvement?” in its workshops throughout the weekend. With a great lineup of instructors (Casey Schneider & Mike Faltesek; Jaya Dorf & Michael Gamble; Chelsea & David Lee; Mike Herring; Abigail Browning & Adam Speen; and Sparrow Pants) and live music by The Low Down Sires, 504 Supreme, and Gypsy Roots, it looks like it will be a rumpus in Richmond! For more information visit The Process website. On Saturday, March 2, 2013, we’ll be back at the Murphey School for a swing dance, hosted by the Triangle Swing Dance Society. TSDS is also hosting a day of swing dance workshops that Saturday called Localpalooza, which features many of the local swing dance instructors teaching a range of classes for all levels. If you are interested in learning how to dance, this would be a great beginner crash course! If you already know how to dance, there’s a little something for everyone – information on the workshops can be found on the Triangle Swing Dance Society website. As for the dance, we’ll see you at the Murphey School! Free beginner lesson at 7:00 p.m. Band plays from 8:00 p.m. to 11:00 p.m.
On Saturday, April 28, we’ll hit the road for a gig in Greensboro at the Oriental Shrine Club, playing the evening dance as part of the Piedmont Swing Dance Society‘s spring workshops with Joel Plys and Jenna Applegarth. We’re looking forward to seeing a big crowd of dancers out for this one!